Talondre has the manners of a perfect gentlemen and a smile that can light up the room. He is a charming, go-with-the-flow kind of kid. People who know Talondre well describe him as “funny and playful, engaging and sweet.” He stays active by playing sports, riding his scooter, or spending time at the park. He gets excited about “cool cars,” wrestling, and football. Talondre’s caregivers are currently working with him on processing emotions in a healthy way and he has made progress in managing his anger and aggression. A good balance of structure and consistency is important for Talondre. A family for Talondre will need to be highly skilled with an ability to navigate educational/therapeutic services and support sibling visits. Talondre will need a family who is committed to keeping him connected to his siblings. He has warmed up to the idea of adoption and has recently been open to talking about the types of families he feels would be best for him. Talondre and his team are generally open to the makeup of any family. Talondre would also do well with older siblings, and with the right supervision and support, younger siblings might be okay. He has always lived in the metro area, so it may be best to find a family in the area. About Me Talondre has the manners of a perfect gentlemen and a smile that can light up the room. He is a charming, go-with-the-flow kind of kid. 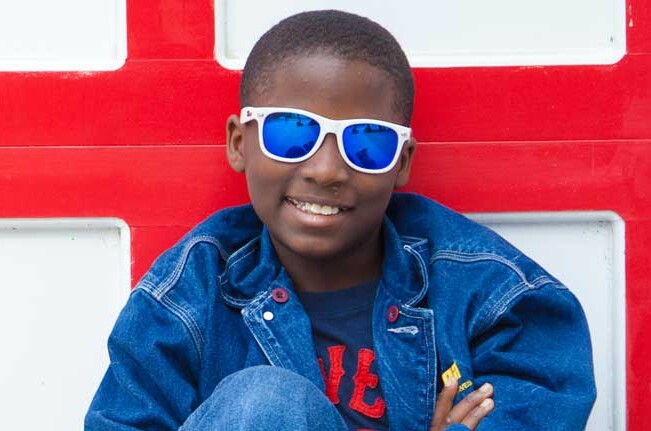 People who know Talondre well describe him as “funny and playful, engaging and sweet.” He stays active by playing sports, riding his scooter, or spending time at the park.